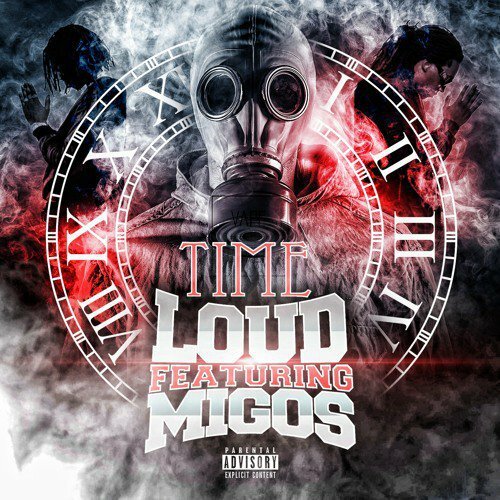 Time Ft. Migos - "LOUD"
Lim Tim took to the streets at an early age after his older brother was murdered. Following the foot steps of the men in his family before him, Lil Tim had numerous run-ins with the law. At the age of 17, he was sentenced to 12 years in prison. Lil Tim was not so “little” anymore at this point and due to his size and his “quick to fight attitude”, he was eventually sent to what is formally known as Missouri State Penitentiary (The Walls). The Walls was tagged as one of the bloodiest prisons west of the Mississippi. Being a maximum security prison with most inmates sentenced to at least 25 years, The Walls only had a handful of teenagers, and Time was one of them. Time was known for tutoring other inmates. Other times he spent in his cell listening to anything he was able to smuggle in with the guards. Memorizing his favorite verses and attempting to write his own is how Time got through his prison days. Being there forced him to reach into his roots and by doing that he found his love for music, as his mother did before him. Time was eventually transferred to a medium security prison where he met and became friends with rapper/producer City Spud. Many may know City Spud as Nelly’s famed little brother of the St. Lunatics, but he is also a multi-platinum selling rapper. As Time helped City Spud smuggle new music and beats into prison, he would also write his own verses to songs that City was working on. Together, they formed a prison rap group when Time began to spit verses. Prison cyphers and battles happened in the yard and Time became a force to be reckoned with. As soon as he was released from prison, Time immediately began working on his music and shortly after released his first single “Loud”, featuring Migos. Time is looking forward to putting out and performing new music.